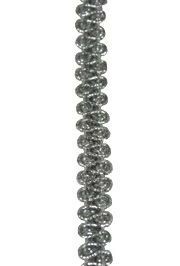 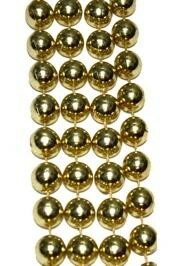 These Mardi Gras long beads are also big beads - 48in long with 18mm beads. 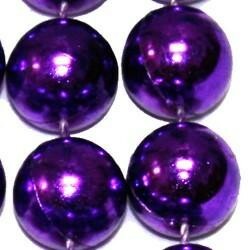 Round Metallic beads come as Purple beads, Green beads, and Gold Beads. 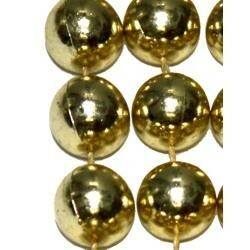 These are great for any parade. 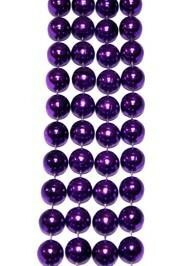 They are sold in 1/2 Dozen (6) bags and 6 Dozen (72) case. 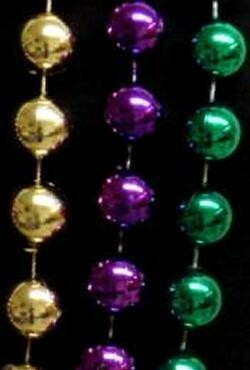 These beads are great for Mardi Gras and St. Patrick's Day parades. 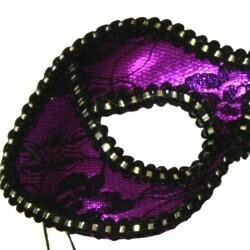 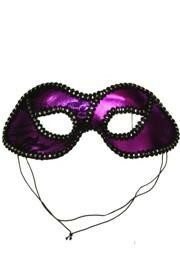 The purple lamei mask has a black lace design and black and silver metallic trim. 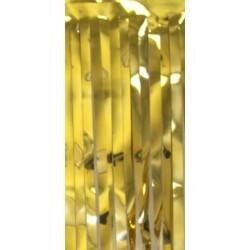 It has a cloth material backing for comfort and elastic strings. 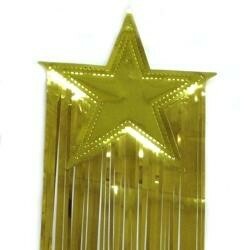 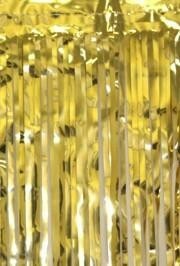 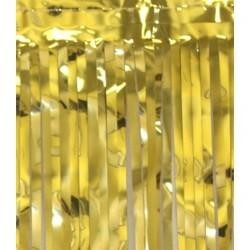 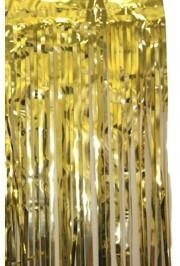 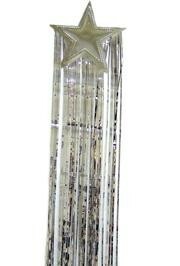 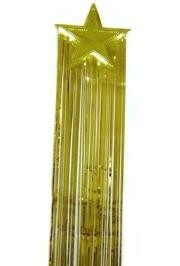 A metallic gold star fringe with a 36 inch drop. 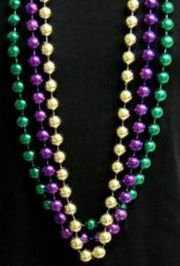 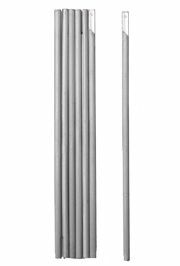 These are commonly bought by schools, colleges, businesses, and for parades.